Amidst the Chaos is the sixth studio album by American singer-songwriter Sara Bareilles, released on April 5, 2019, through Epic Records. The lead single from the album, "Armor", was released digitally on October 26, 2018. In an interview with Forbes, Bareilles stated that the 2016 American Presidential Election was the catalyst for her beginning to write the album, with the title being a reference to the presidency of Donald Trump. The songs "No Such Thing" and "If I Can't Have You" were written as odes to president Barack Obama, while "Armor" was written in response to the #MeToo Movement and released early in light of the confirmation hearing of Supreme Court Justice Brett Kavanaugh. The duet with John Legend, "A Safe Place To Land", was written about the immigrant family separation crisis along the US-Mexico border in 2018. The lead single, "Armor," was released on October 28, 2018, with Bareilles performing the song on the Late Show With Stephen Colbert on November 28th backed by an all-female band. She announced the album on February 13, and said it would become available to pre-order on February 15. She also posted the cover art, a black-and-white shot of herself with "windblown hair". 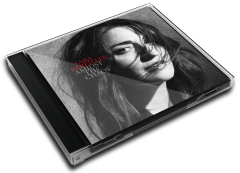 Prior to the album's release, Bareilles embarked upon the four-date A Little Chaos Tour, stopping in San Francisco, Los Angeles, Chicago and New York City between March 17 and 22, 2019. Bareilles performed several unreleased songs from the album, as well as its promotional singles. On April 6, 2019, Bareilles appeared as a musical guest on Saturday Night Live and performed "Fire" and "Saint Honesty".